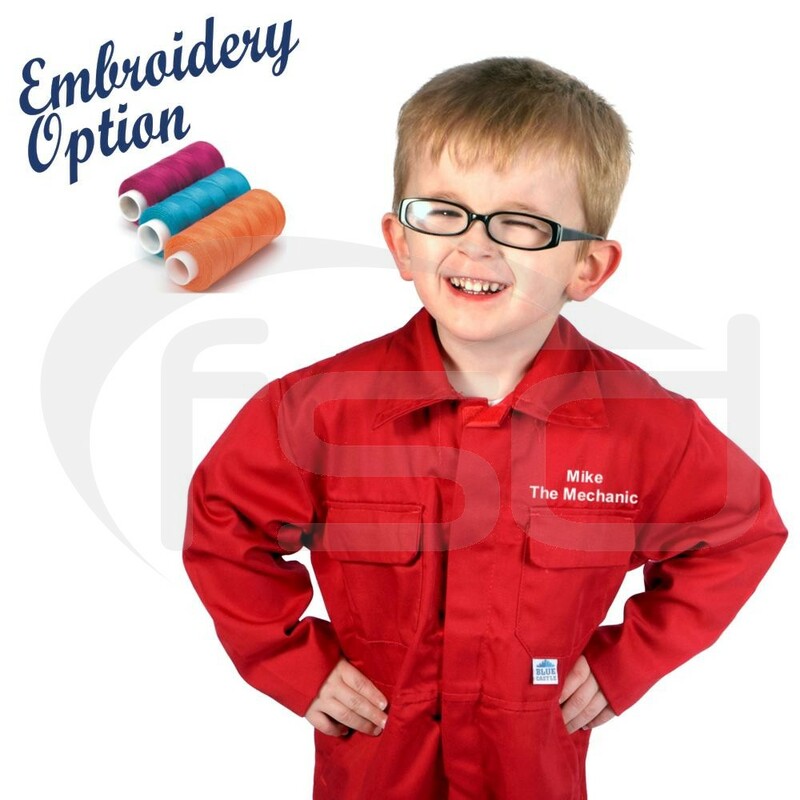 These hardwearing poly-cotton coveralls can be embroidered to include school, business, charity, club, team or individual children's names as required. Very long legs so for my grandchildren plenty of spare material for patches if needed. What about a design for children who go to horse or pony shows to wear over their 'ring clothes'. No need to change clothes or have the worry about getting dirty.